Thymic stromal lymphopoietin (TSLP) is a cytokine produced by epithelial cells in the lungs, skin and intestinal mucosa, and is involved in several physiological and pathological processes. In this study, we evaluated serum TSLP levels in patients with celiac disease (CD). The prospective study was conducted at a gastroenterology outpatient clinic between March 2018 and August 2018. Eighty-nine participants aged between 18 and 75 years were classified into following groups: 22 patients with newly diagnosed CD; 20 patients with CD who were compliant with a gluten-free diet (GFD); 32 patients with CD who were not compliant with a GFD; and 15 healthy controls. Demographic characteristics, disease duration, and selected biochemical and hematologic parameters were recorded and compared between groups. Median serum TSLP levels were 1193.65 pg/mL (range: 480.1–1547.1) in newly diagnosed CD patients, 110.25 pg/mL (range: 60.3–216.7) in CD patients who were compliant with a GFD, 113.1 pg/mL (range: 76.3–303.4) in CD patients who were not compliant with a GFD, and 57 pg/mL (range: 49–67.8) in healthy controls. Overall, there was a significant difference in serum TSLP levels between groups (p = 0.001). Patients with newly diagnosed CD had the highest serum TSLP levels. There was no significant difference in serum TSLP levels between patients with CD who were or were not compliant with a GFD. TSLP appears to be involved in the pathogenesis of CD. Further studies are required to determine if the TSLP signaling pathway can be used in the treatment of CD. Guandalini S, Assiri A. Celiac disease: a review. JAMA Pediatr. 2014 Mar;168(3):272-8. doi: 10.1001/jamapediatrics.2013.3858. Megiorni F, Mora B, Bonamico M, Barbato M, Nenna R, Maiella G, Lulli P, Mazzilli MC. HLA-DQ and risk gradient for celiac disease. Hum Immunol. 2009 Jan;70(1):55-9. Denham JM, Hill ID. Celiac disease and autoimmunity: review and controversies. Curr Allergy Asthma Rep. 2013 Aug;13(4):347-53. doi: 10.1007/s11882-013-0352-1. Sollid LM, Jabri B. Triggers and drivers of autoimmunity: lessons from coeliac disease. Nat Rev Immunl 2013;13:294-302. Mearin ML, Biemond I, Peña AS, Polanco I, Vazquez C, Schreuder GT, de Vries RR, van Rood JJ. HLA-DR phenotypes in Spanish coeliac children: their contribution to the understanding of the genetics of the disease. Gut. 1983 Jun;24(6):532-7. He R, Geha RS. Thymic stromal lymphopoietin. Ann N Y Acad Sci. 2010 Jan;1183:13-24. doi: 10.1111/j.1749-6632.2009.05128.x. Rescigno M, Di Sabatino A. Dendritic cells in intestinal homeostasis and disease. J Clin Invest 2009; 119:2441-50. Biancheri P, Di Sabatino A, Rescigno M, Giuffrida P, Fornasa G, Tsilingiri K, Pender SL, Papadia C, Wood E, Pasini A, Ubezio C, Vanoli A, Forbes A, MacDonald TT, Corazza GR. 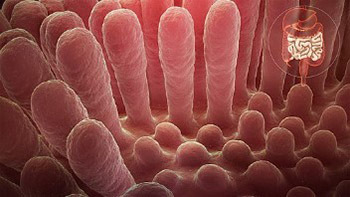 Abnormal thymic stromal lymphopoietin expression in the duodenal mucosa of patients with coeliac disease. Gut. 2016 Oct;65(10):1670-80. doi: 10.1136/gutjnl-2014-308876. Guy-Grand D, Vassalli P, Eberl G, Pereira P, Burlen-Defranoux O, Lemaitre F, Di Santo JP, Freitas AA, Cumano A, Bandeira A.Origin, trafficking, and intraepithelial fate of gut-tropic T cells. J Exp Med. 2013 Aug 26;210(9):1839-54. doi: 10.1084/jem.20122588. Spencer J, MacDonald TT, Diss TC, Walker-Smith JA, Ciclitira PJ, Isaacson PG. Changes in intraepithelial lymphocyte subpopulations in coeliac disease and enteropathy associated T cell lymphoma (malignant histiocytosis of the intestine). Gut. 1989 Mar; 30(3):339-46. Camarero C, Eiras P, Asensio A, Leon F, Olivares F, Escobar H, Roy G.Intraepithelial lymphocytes and coeliac disease: permanent changes in CD3-/CD7+ and T cellreceptor gammadelta subsets studied by flow cytometry. Acta Paediatr. 2000 Mar; 89 (3):285-90. Monteleone I, Sarra M, Del Vecchio Blanco G, Paoluzi OA, Franzè E, Fina D, Fabrizi A, MacDonald TT, Pallone F, Monteleone G. Characterization of IL-17A-producing cells in celiac disease mucosa. J Immunol. 2010 Feb 15;184(4):2211-8. doi: 10.4049/jimmunol.0901919. Di Sabatino A, Ciccocioppo R, D'Alò S, Parroni R, Millimaggi D, Cifone MG, Corazzo GR. Intraepithelial and lamina propria lymphocytes show distinct patterns of apoptosis whereas both populations are active in Fas based cytotoxicity in coeliac disease. Gut. 2001 Sep;49(3):380-6. Fornasa G, Tsilingiri K, Caprioli F, Botti F, Mapelli M, Meller S, Kislat A, Homey B, Di Sabatino A, Sonzogni A, Viale G, Diaferia G, Gori A, Longhi R, Penna G, Rescigno M. Dichotomy of short and long thymic stromal lymphopoietin isoforms in inflammatory disorders of the bowel and skin. JAllergy Clin Immunol 2015 Aug; 136(2):413-22.doi: 10.1016/j.jaci.2015.04.011. Zhang Y, Zhou B. Functions of thymic stromal lymphopoietin in immunity and disease. Immunol Res. 2012 Jun;52(3):211-23. doi: 10.1007/s12026-012-8264-z. Iliev ID, Spadoni I, Mileti E, Matteoli G, Sonzogni A, Sampietro GM, Foschi D, Caprioli F, Viale G, Rescigno M. Human intestinal epithelial cells promote the differentiation of tolerogenic dendritic cells. Gut. 2009 Nov;58(11):1481-9. doi: 10.1136/gut.2008.175166. Taylor BC, Zaph C, Troy AE, Du Y, Guild KJ, Comeau MR, Artis D. TSLP regulates intestinal immunity and inflammation in mouse models of helminth infection and colitis. J Exp Med. 2009 Mar 16;206(3):655-67. doi: 10.1084/jem.20081499. Nygaard U, Hvid M, Johansen C, Buchner M, Fölster-Holst R, Deleuran M, Vestergaard C. TSLP, IL-31, IL-33 and sST2 are new biomarkers in endophenotypic profiling of adult and childhood atopic dermatitis. J Eur Acad Dermatol Venereol. 2016 Nov;30(11):1930-1938. Chauhan A, Singh M, Agarwal A, Paul N. Correlation of TSLP, IL-33, and CD4 + CD25 + FOXP3 + T regulatory (Treg) in pediatric asthma. J Asthma. 2015;52(9):868-72. doi: 10.3109/02770903.2015.1026441.